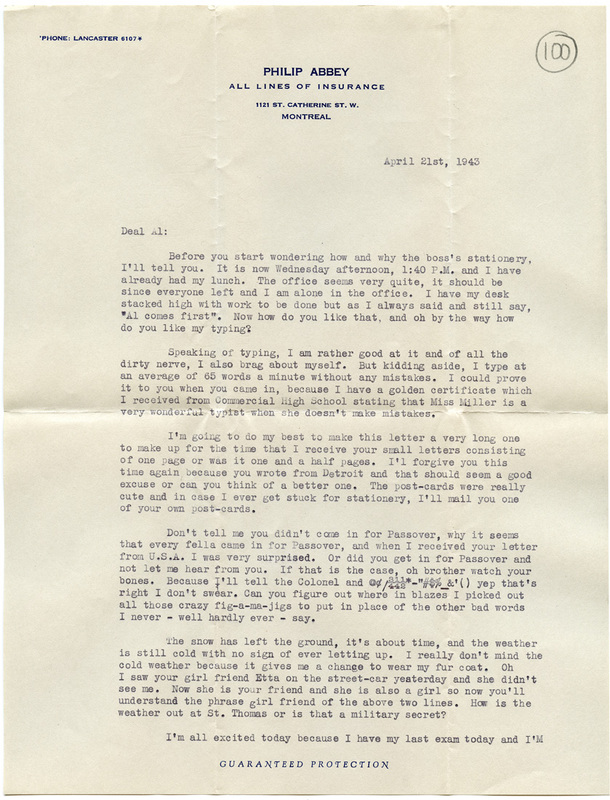 Letter from Sylvia Kornfield to Allan Raymond. 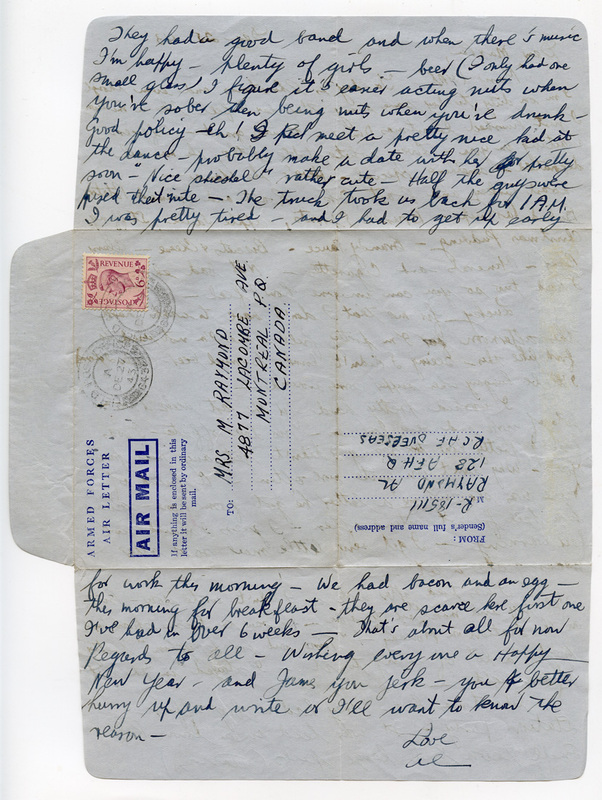 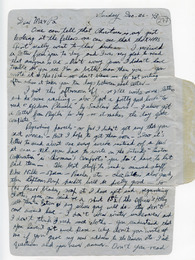 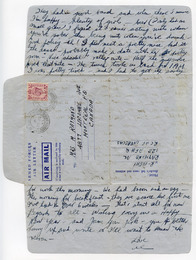 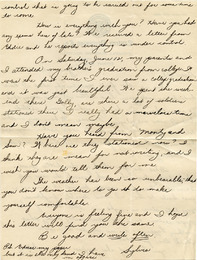 Letter from Sonia Kornfield to Allan Raymond, which mentions the race riot that occured in Montreal that week. 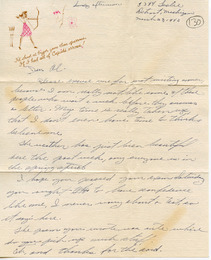 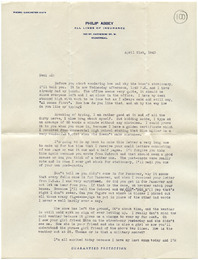 Letter from Sonia Kunin to Allan Raymond. 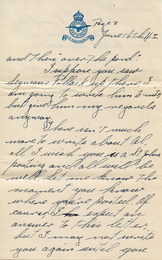 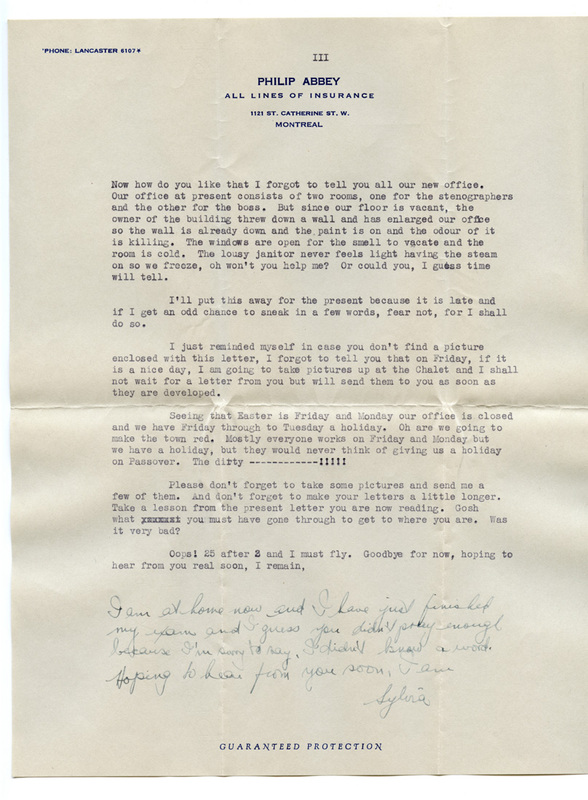 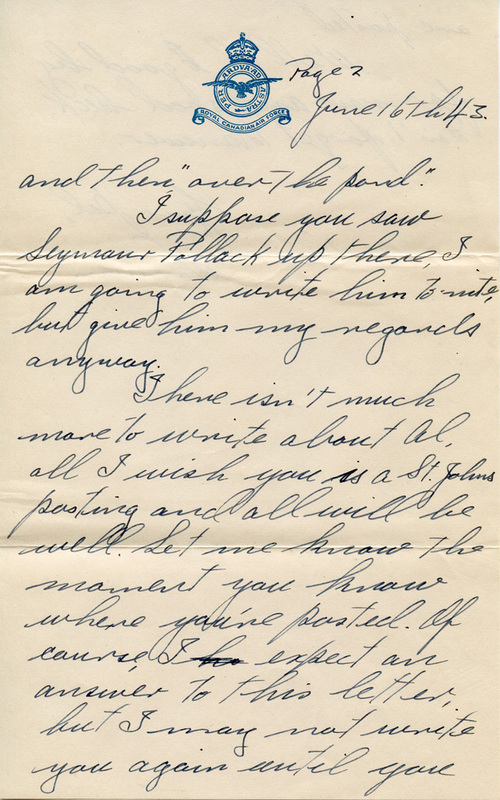 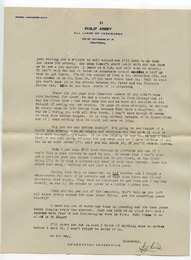 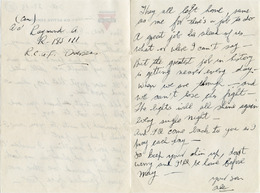 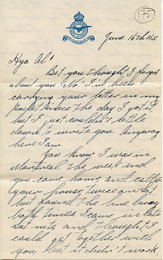 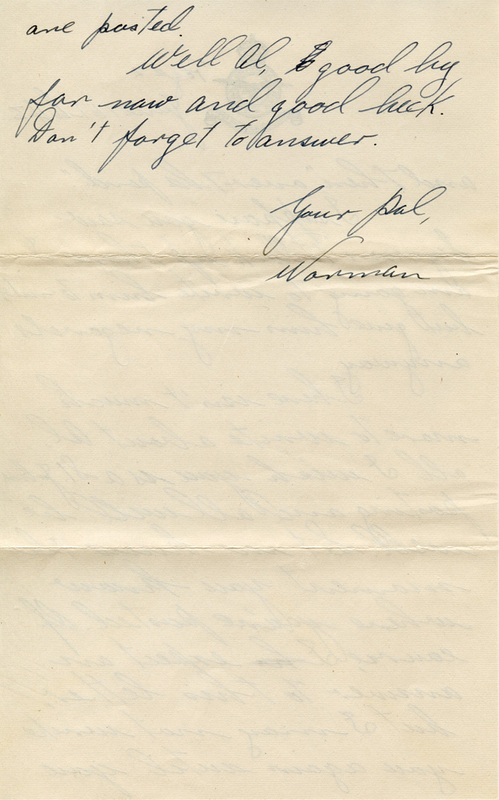 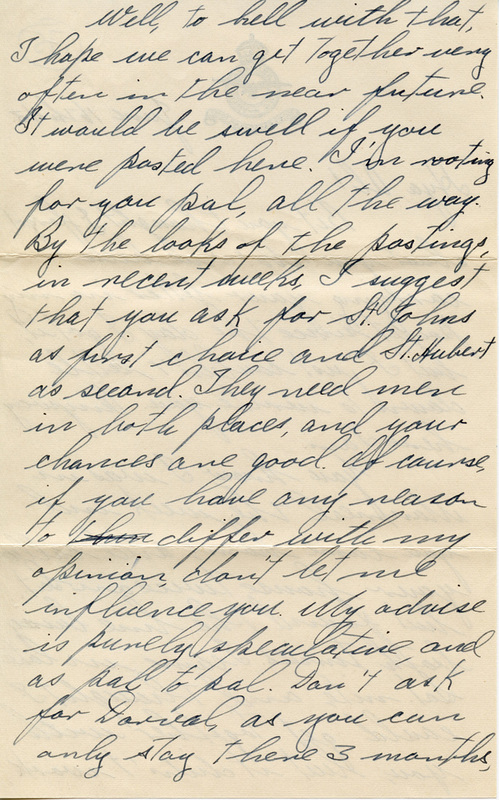 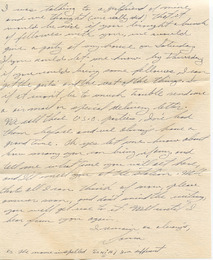 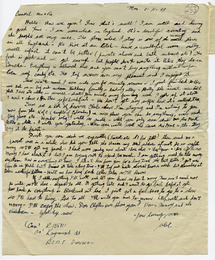 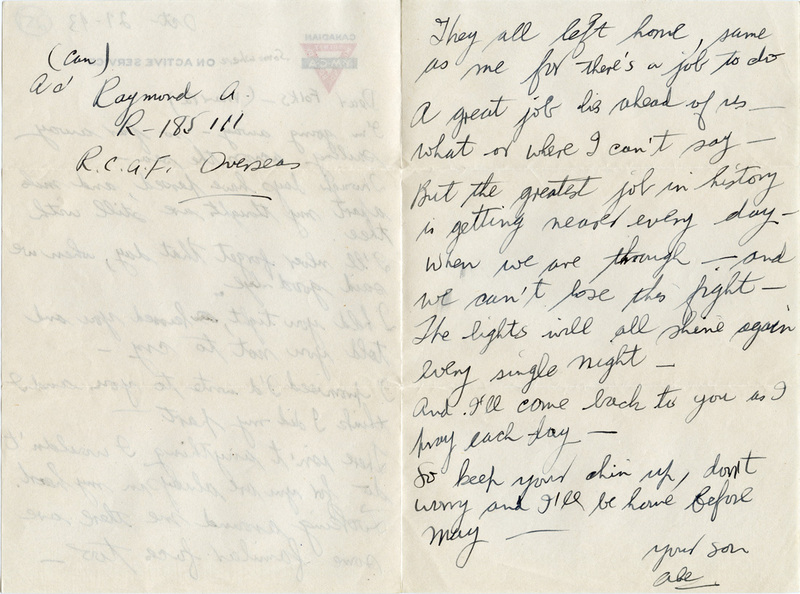 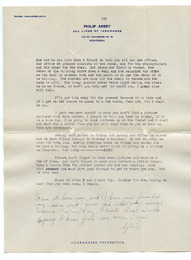 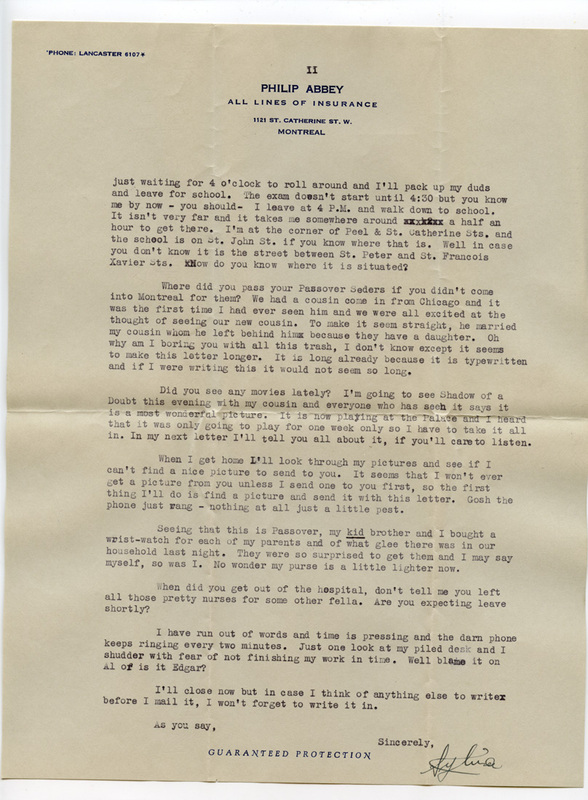 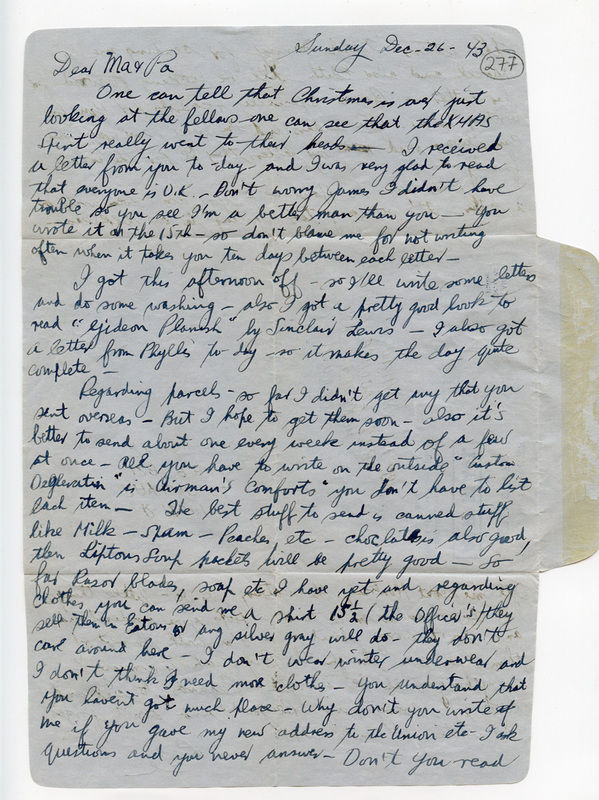 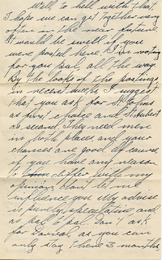 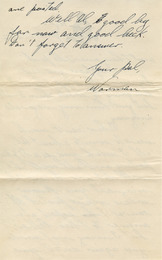 Letter from Norman to Allan Raymond, advising him on which bases are better to be stationed at. 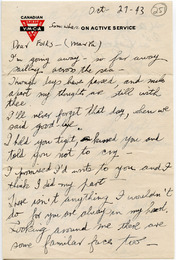 Allan's goodbye poem to his parents. 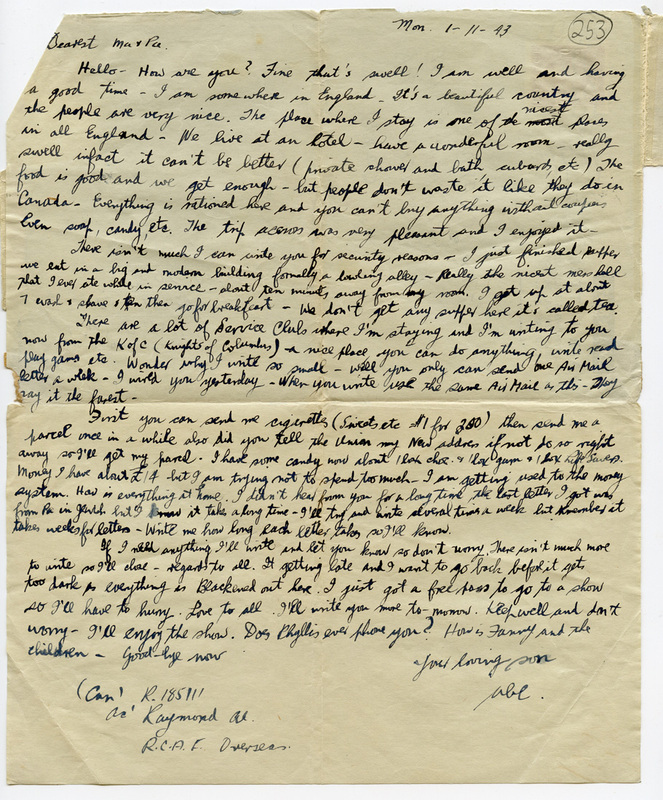 Allan informs his parents that he has landed in England. 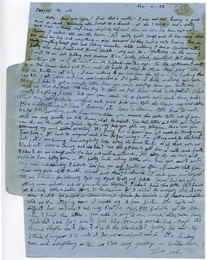 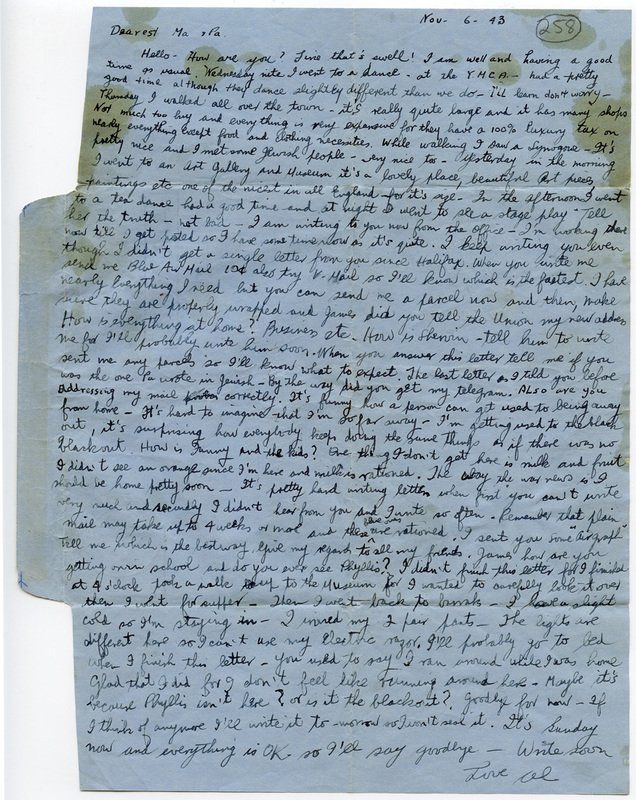 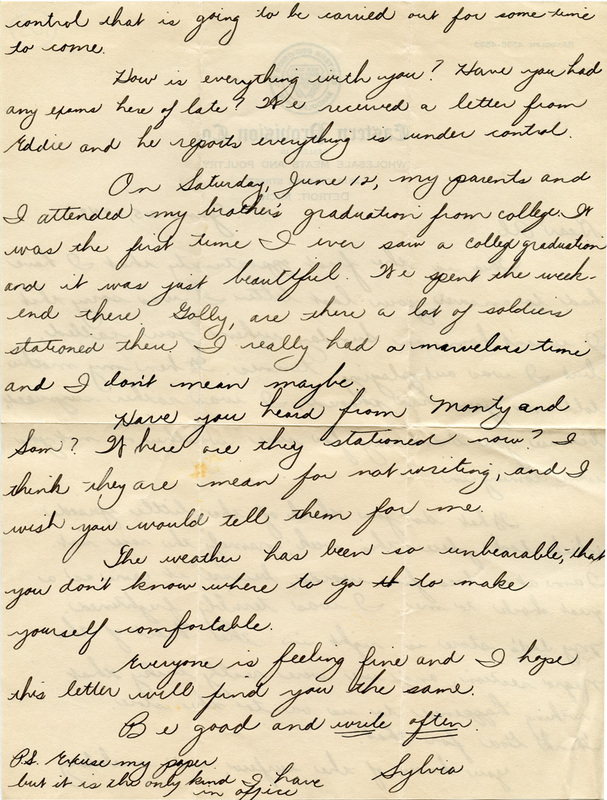 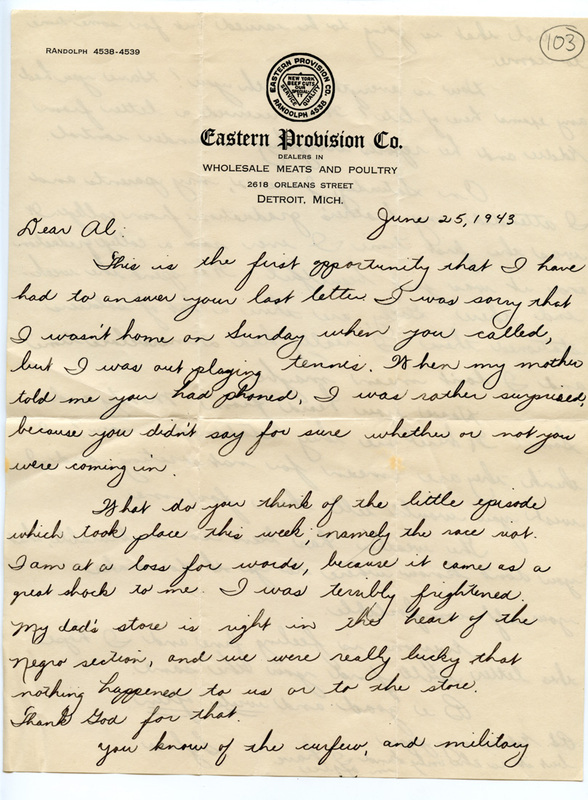 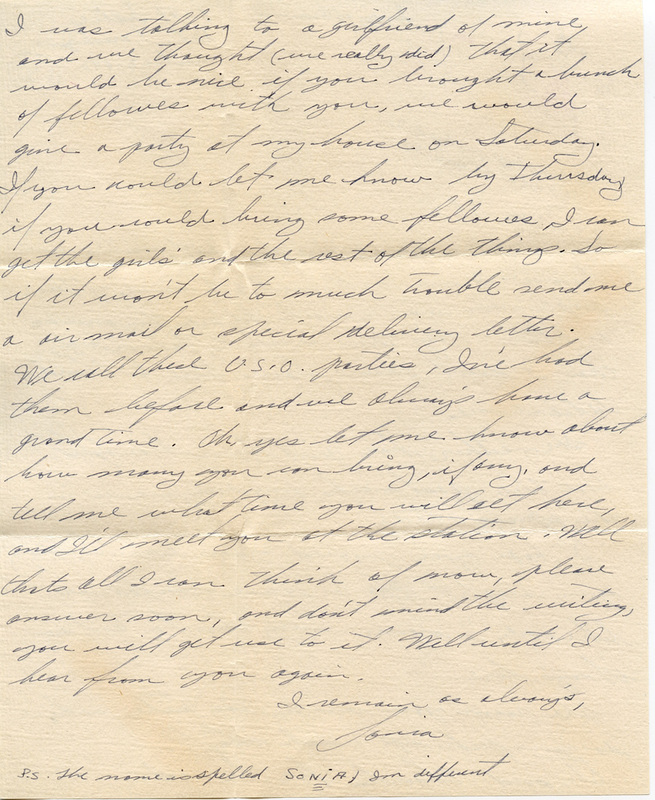 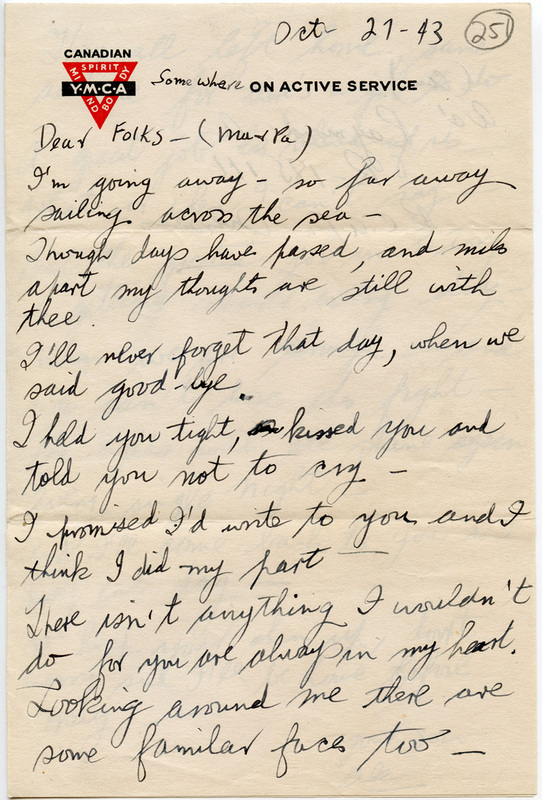 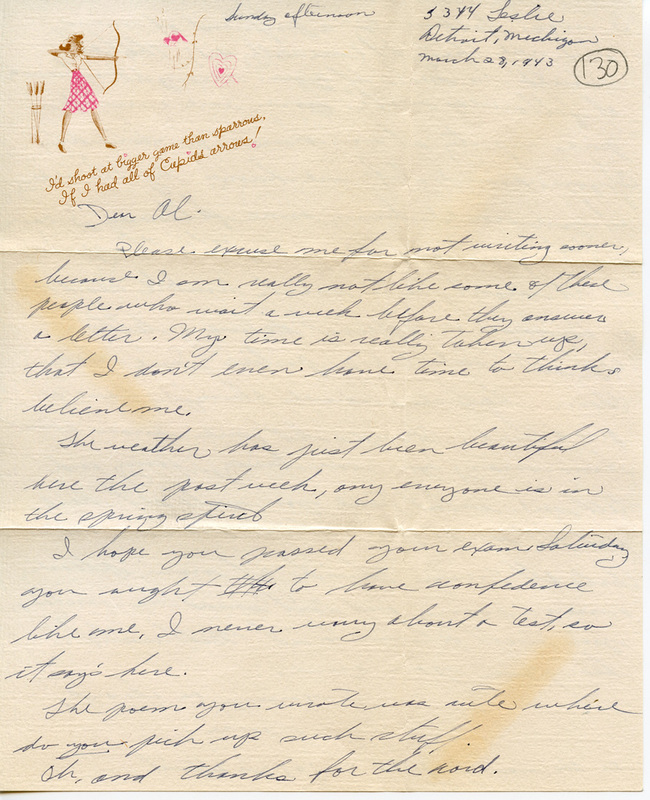 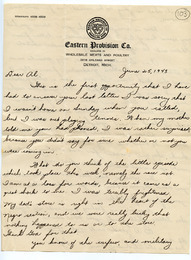 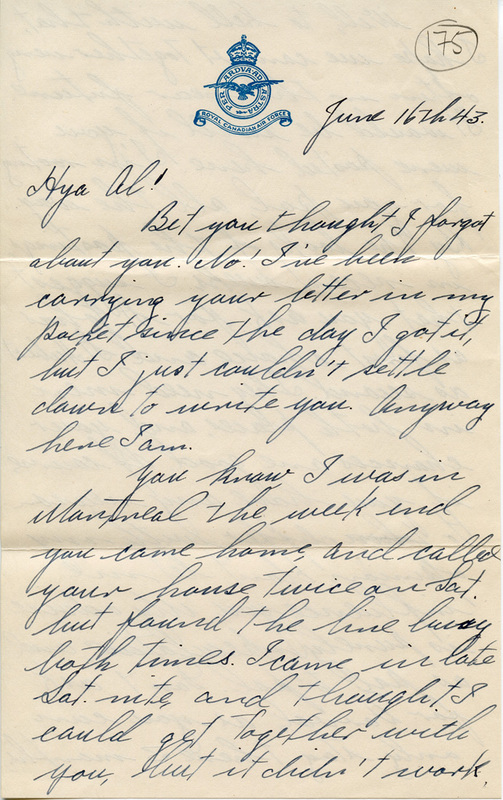 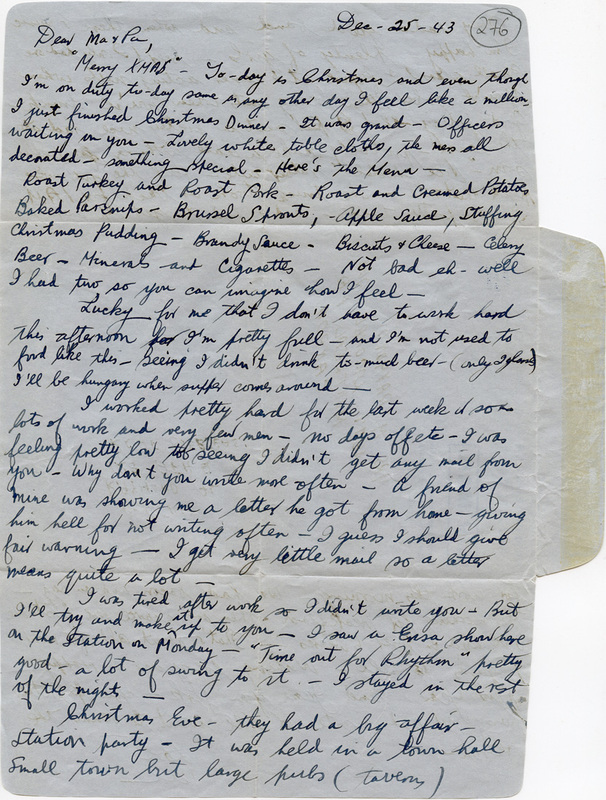 Letter from Allan Raymond to his parents. 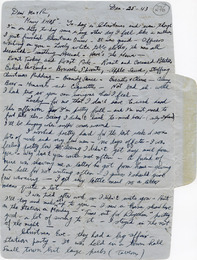 Allan describes his first Christmas in the air force.